Think about what all this sugar is doing to your teeth! A lot of parents ask, “Why does my child have cavities when he doesn’t even eat that much sugar?” Most parents think of sugar as just junk food. The fact of the matter is that kids are exposed to sugar in almost everything they eat. 80% of the foods we buy from the store have sugar and usually the bad type like High fructose corn syrup. High fructose corn syrup is like jet fuel for cavity bugs. Because it’s a cheep sugar manufactures put it in everything. Most of the foods that we store in our pantry have lots of bad sugars in them. Natural sugars that are in fruits and vegetables are healthier and less likely to cause cavities. Sugar is also the #1 cause of obesity. This video clip explains the correlation between Sugar and obesity, but when you watch it, think about what all this sugar is doing to your teeth! 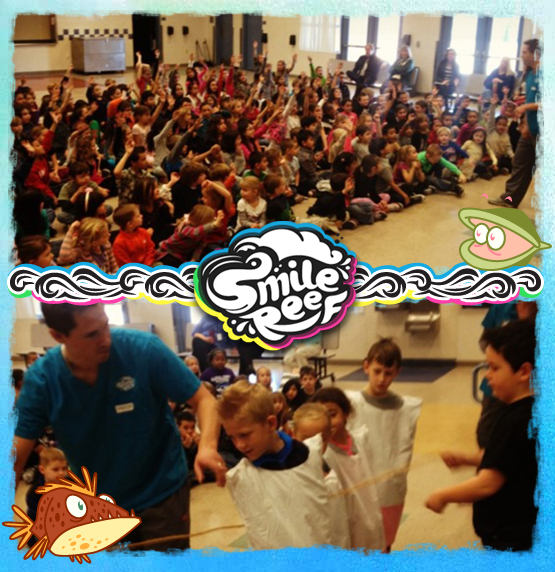 Dr. Jensen and his staff at Smile Reef Pediatric Dentistry in Las Vegas had a great time visiting over 600 students at Goolsby Elementary School! 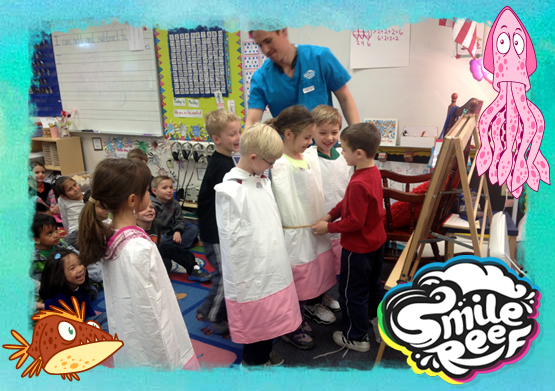 Dr. Jensen led the students through a hands-on demonstration of proper hygiene and dental health. The kids were excited about being live teeth, getting to wear actual teeth costumes and following the process of what happens if you don’t brush regularly. The students also learned what types of foods stick and don’t stick to your teeth and how to floss the right way! The kids couldn’t believe that without brushing your plague turns yellow making your teeth yellow and gums red! 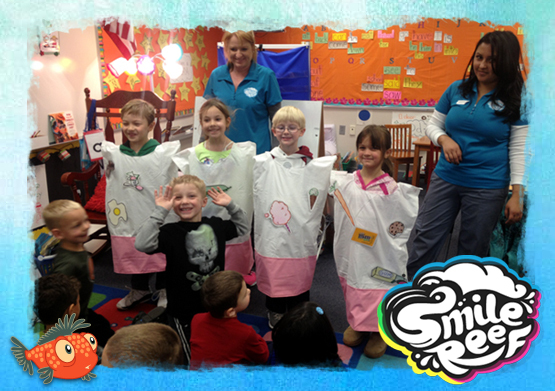 Dr. Jensen and his staff enjoyed teaching these elementary kids during dental health awareness month. 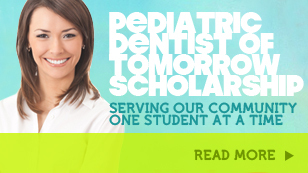 The pediatric dentist and his staff helped the Las Vegas children realize the importance of dental health, what to expect at the dentist office, and even gave out fun tooth brush and floss goodie packets to all these energetic children. Smile Reef hopes to return again as this is our second year visiting this school. The kids were even excited to find random gift cards of $50 towards a Smile Reef Dental visit!